Your sweet, angelic child has suddenly said mean things to you. 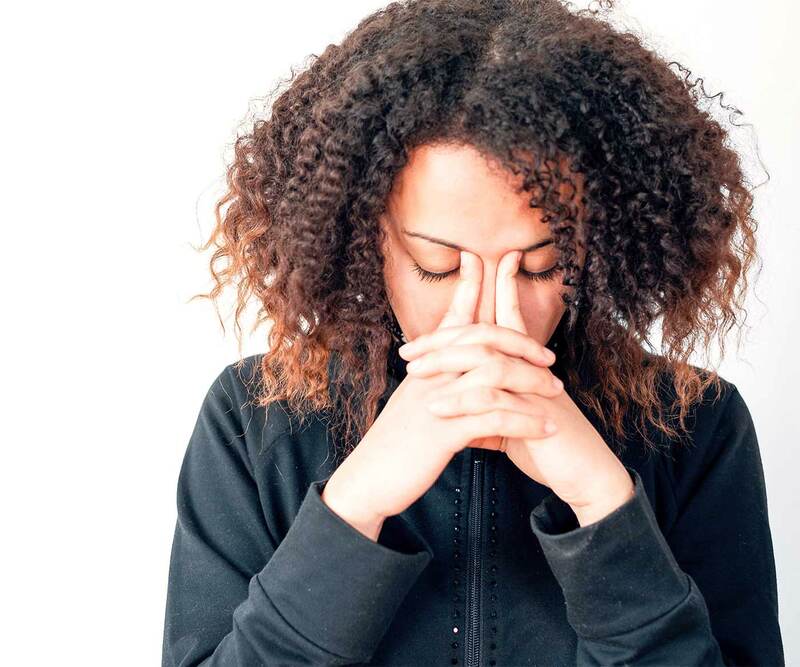 Here’s how to respond when your child says hurtful things to you. My five-year-old asked, “When can I get a skateboard?” to which I responded, “When you can ride the scooter well.” My reasoning was: First master the scooter, so you can use a skateboard. Except my son didn’t take it like that. He sniffled, asking why I would say that. Especially after all the times I’ve congratulated his improvement and for practicing every day. I felt terrible, knowing he misunderstood what I meant. The damage was done though. None of my reassuring words or comforting reactions were enough to pacify him. It was then I realized this was the first time he has hurled hurtful words at me. And despite the shock of hearing my boy—my mama’s boy—say something like that, I knew the reason. Still, I didn’t want this to be a common response, or have the relationship where retorts are commonplace. So I read effective ways to respond when your child says hurtful things to you, and here’s what I learned. Hearing your child say hurtful things is hard to stomach, especially when they’re offensive. This isn’t the time to internalize what she notices about you or whether she loves you less. She spoke from charged emotions. Whether with a tinge of honesty or not, don’t focus on what she said but rather on her behavior. Sometimes the best thing you can do is to let your child be and leave her alone. She’s too upset to talk and can’t listen. Don’t reason or discipline, either—she can’t process anything you’re saying right now. Instead, give her the time and space to cool down. Later—whether in a few minutes or even the next day—talk about why she said what she did. Only when she’s calm can she reveal her true feelings and intentions. Get tips on how to get your child to listen. If you’re just as reactive as your child, you might feel tempted to blurt terrible words right back. Don’t. Hold your temper, take a few breaths, walk away. On so many levels, saying hurtful things back is wrong. You’re modeling the behavior you don’t want your child to do. And with both of you upset, you’ll spiral into chaos instead of calming down and being productive. 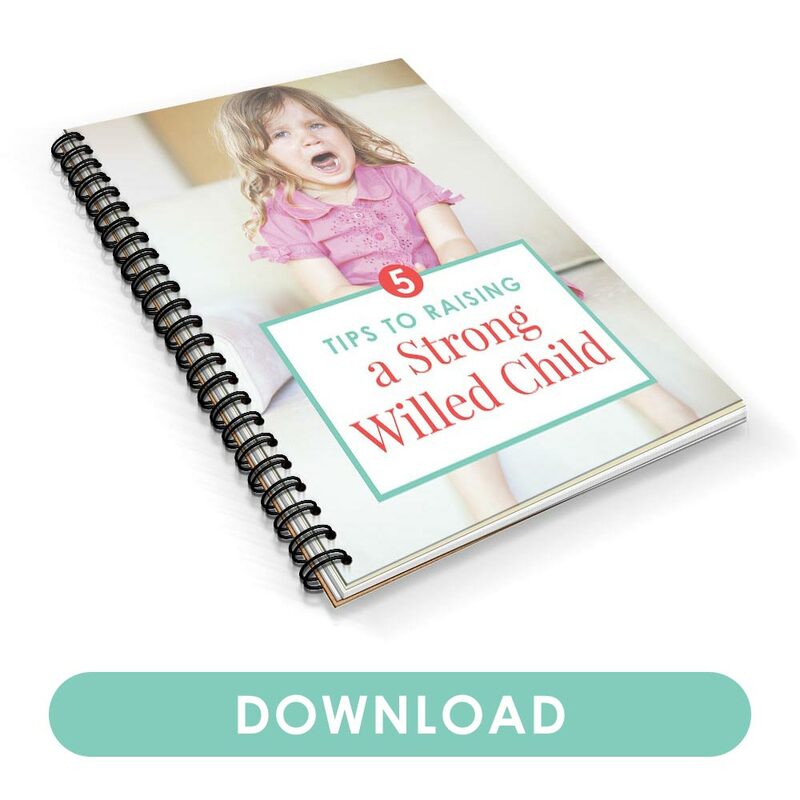 Get tips on how to stop yelling at your kids. As hurtful as it is to hear insults hurled at you, these are still your child’s emotions. Yes, she expressed them poorly, but it’s normal and okay for her to feel frustrated, annoyed, or sad. Don’t chastise her for not feeling happy all the time. No parent is perfect, and that’s why we should always apologize to our kids when the need calls for it. Most conflicts aren’t one-sided. Our kids need hear where we went wrong and how we may have contributed to their outburst. Learn why we should always apologize to our kids. 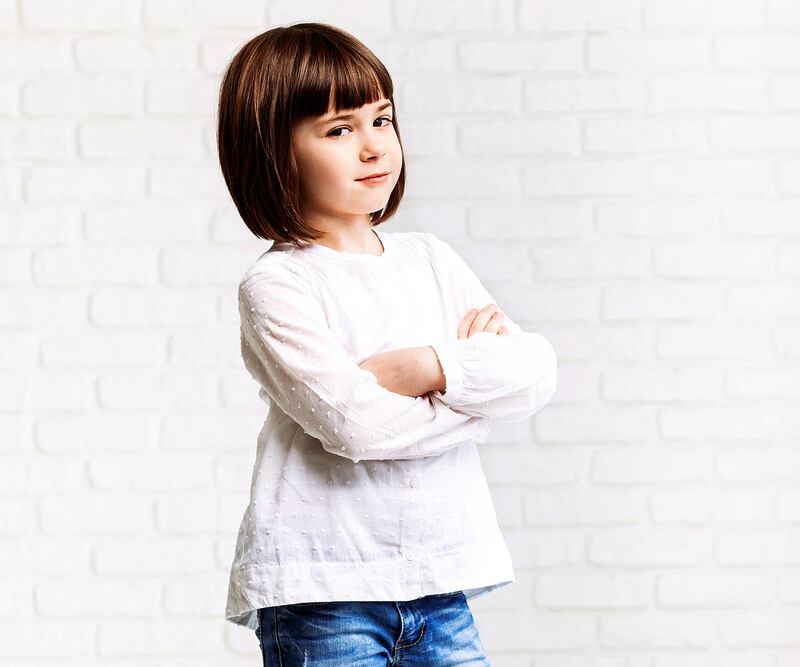 Still, even though your child has a right to feel frustrated, she still has to learn to do so in a respectful way. Your child might get upset, afraid that she has hurt one of the most important people in her life. Admit that you get angry and say nasty things as well, but that we always try to do our best not to hurt other people. Get more tips on anger management for moms. Let her know it’s okay to feel frustrated. It’s just better to do so without hurting other people’s feelings. 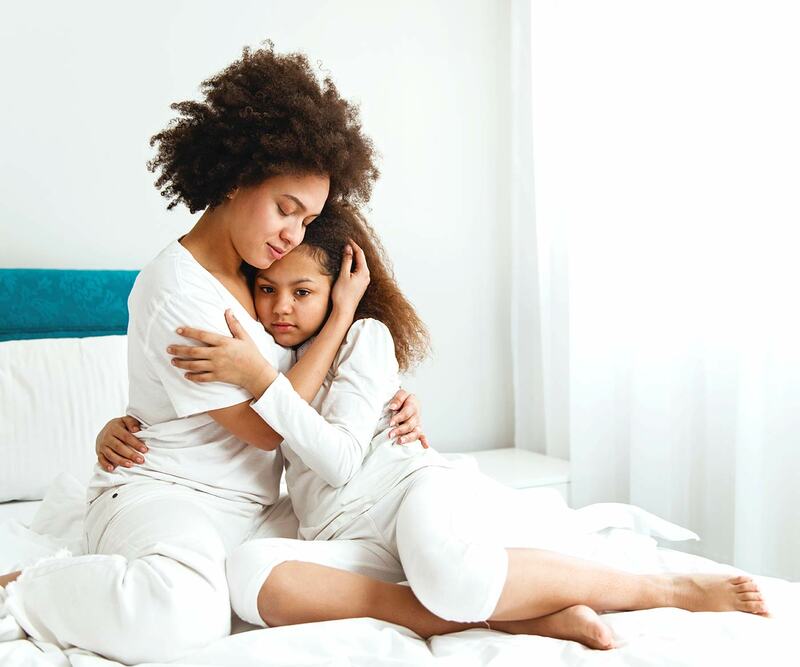 Praise your child when you see her choose better alternatives to hurtful words. Acknowledge behavior you want to continue so she knows this is behavior you encourage. Don’t just praise for “perfect” behavior, but for the actions you value. It’s wrong for your child to push her brother, but praise her for having admitted it. It’s so easy to focus on the kids and what we need to teach them, but this is our journey as well, and as I’m sure you’ve realized, we all have lots to learn. Take a few moments to find the triggers that led your child to feel angry. How is the stress levels in your home? What changes is she going through that might contribute to her frustration? Are your responses aligning with her temperament? Dig deep and ask yourself questions to learn from this experience as well. 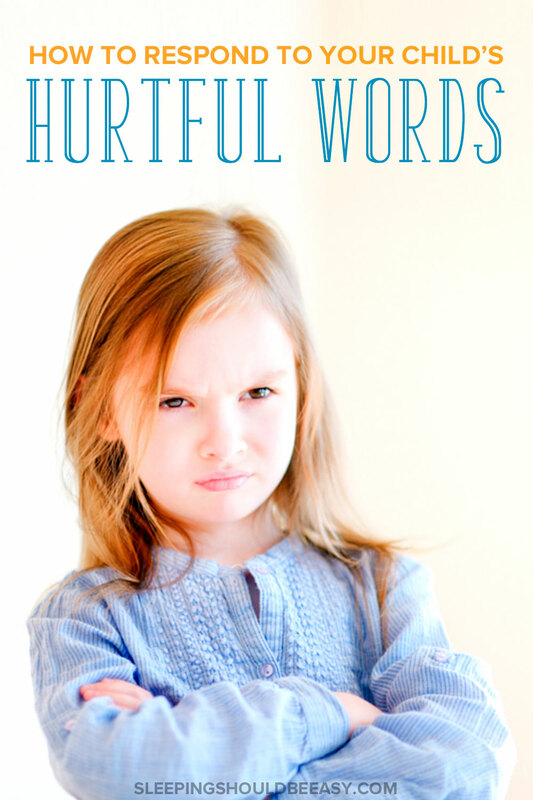 Did you like this article about what to do when your child says hurtful things to you? Save it on Pinterest! Yup, it’s hard enough for us parents to not be reactive, so I’m actually surprised my five-year-old hasn’t said anything mean until that time. There have been many times when I’ve said something I’ve regretted so much. It’s so hard for me not to take this personally but I really get that it happens with every parent, probably, at some point. Des is only two and he says, “Go away!” to us and that makes me sad because I remember the snuggly baby as if it were yesterday. Yeah, it’s tough to handle, even knowing that other parents go through it as well. This is wonderful advice! Over the course of 13 years of parenting, I’ve learned kids are just like adults: sometimes they say things they don’t mean. We’re all human. So far I’ve only had to deal with this twice and thankfully the comments were mild. I imagine I’d feel pretty stung if my kids said something personal or actually insulting. I think it’s great you talk about it with your kids after. I’ve probably had equal good and bad responses to my son when he’s said hurtful things. How does it begin so young?? I’ve stayed quiet and let him calm down. I’ve also said “Fine, then I don’t want to be around you anymore either!” I think the “good” way is the better one. My son does eventually calm down and come to apologize and we talk about feelings and words and how they can be mean. Hope your son understood what you meant after you talked! I hope so too! I think he did, but much later, probably. I think the initial reaction clouded his reasoning and he got too frustrated. For now, Reiko is so quick to say no when he’s mad or even asks me to go out of the room. He’s only 4 yrs old though so I’m sure it’s never his intention, it’s just that he doesn’t understand his feelings all too well just yet. 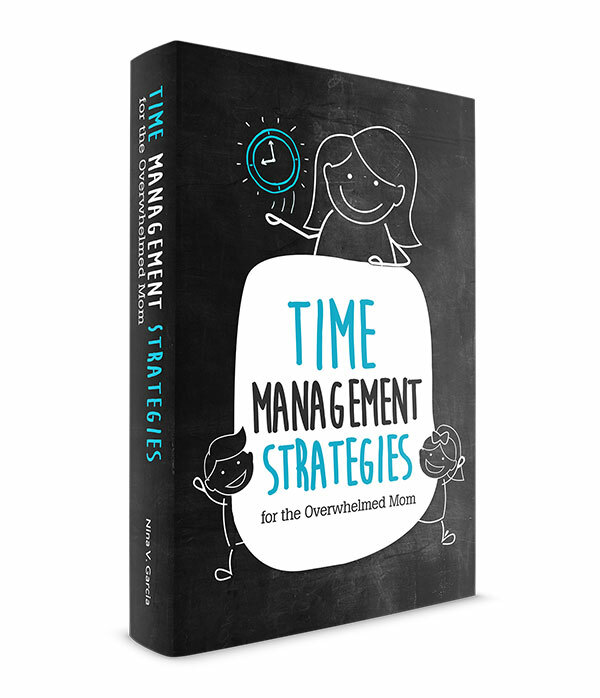 I’d like to believe that these tips you mentioned will also very much work well with adults. You’re right, Rea. It’s hard enough for kids to communicate normally, but imagine how much more frustrating it would be to try to convey your emotions and you’re upset. I’m an expert at “I’m sorry you feel that way.” It’s not usually what I want to say, but it’s what I know I need to say! Yeah, I wanted to say more but they’re just not at the place (and sometimes neither are we) to discuss. First off, I’m so sorry you were yelled at by your son over a misunderstanding. That’s one of the hardest things I’ve dealt with as a parent. Unfortunately, my emotional 5-year-old is no stranger to yelling at us. She’s actually here with me as I’m reading this and I asked what she would want in these situations. She said that it’s most helpful when we let her cool off first and then talk her through how to calm down and avoid responding with hateful language. Then she asked if she could go back to what she was doing. 🙂 Love your insight, and it looks like you’ll be prepared for if/when it happens again. Aw Leslie that is so sweet you got her input about this subject! What great advice from such an insightful little girl. I like that last bit about being able to go back to doing what she’s doing! Some very good advice!! It is hard to not take what our children say personally, but we are missing a good parenting moment if we get sucked into their angry words and forget it can be a learning moment. Absolutely, Natasha, when we react and focus on ourselves, we leave out an opportunity for our kids to learn something about the moment. Hi! I’m an editor with Power of Moms, and I wanted to let you know that this post will be featured as a Power of Moms’ Pick on Friday! I used your image–let me know if that’s not okay. Look at our homepage on Friday to see your essay featured. Thanks for your great content! Thanks so much for the heads up Rachel! You can totally use my image. Looking forward to it! I think this is good advice for one-off bouts. But, what if a child is chronically saying hurtful things? As in multiple times per day? If he/she continues to misbehave, then you can hold your child accountable and enforce logical consequences. It’s tough, but hang in there mama! Be consistent but empathetic, and hopefully you can help your child stop saying hurtful words.